Bula! (That’s Fiji’s “hello!”) Get ready to plan your trip to beautiful Fiji and experience the “Friendliest Island in the South Pacific.” From the first moment you step onto any of the 300+ islands that make up Fiji, you will know you have landed in a tropical paradise. 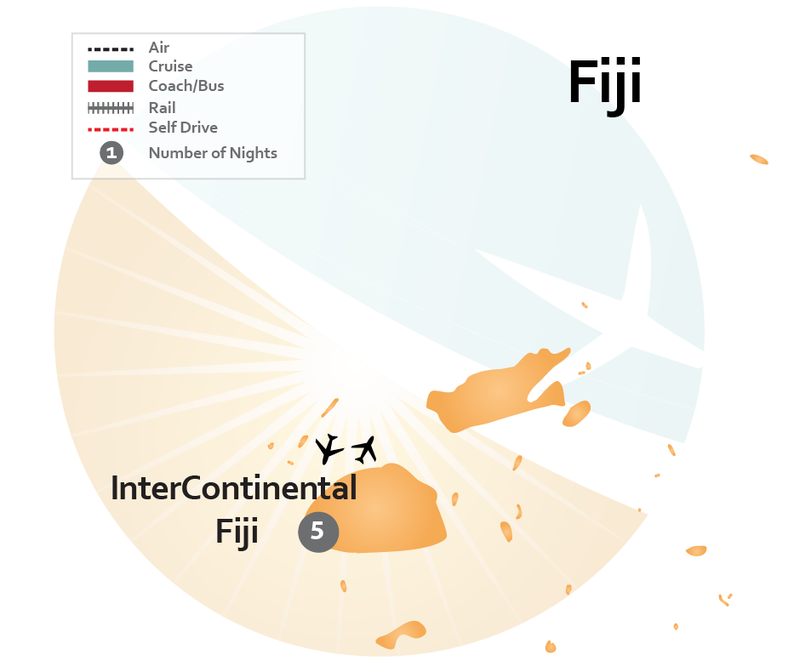 Known as “The Soft Coral Capital of the World,” Fiji offers landscapes like nowhere else on earth. 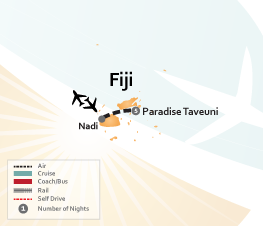 Whether you’re planning a romantic getaway for your family vacation in Fiji, you’ll experience our blended culture and fine cuisine, our outdoor beauty filled with natural waterfalls, lush rainforests, huge coconut plantations and world-famous scuba diving year-round with top diving sites like Astrolabe Reef or Split Rock. 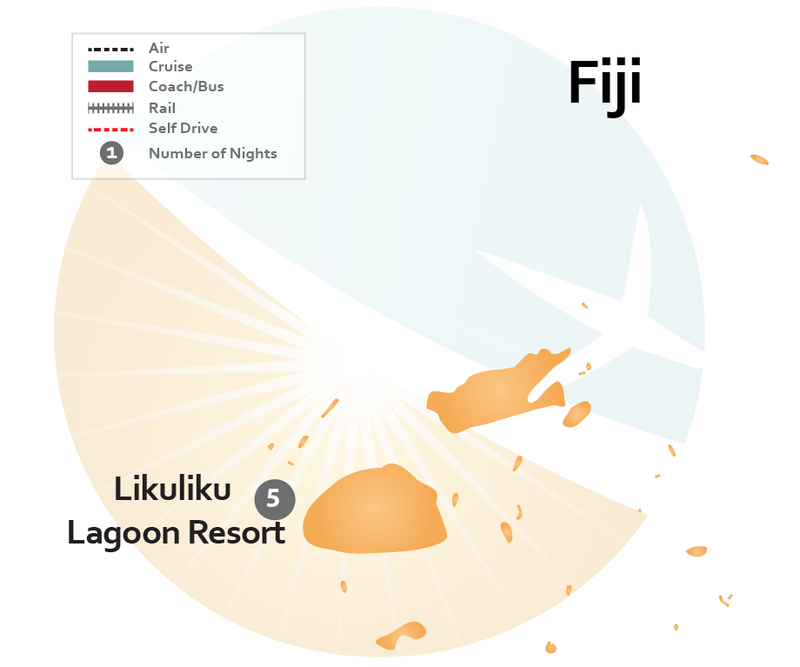 Fiji vacations have something under the sun (and moon) for everyone. 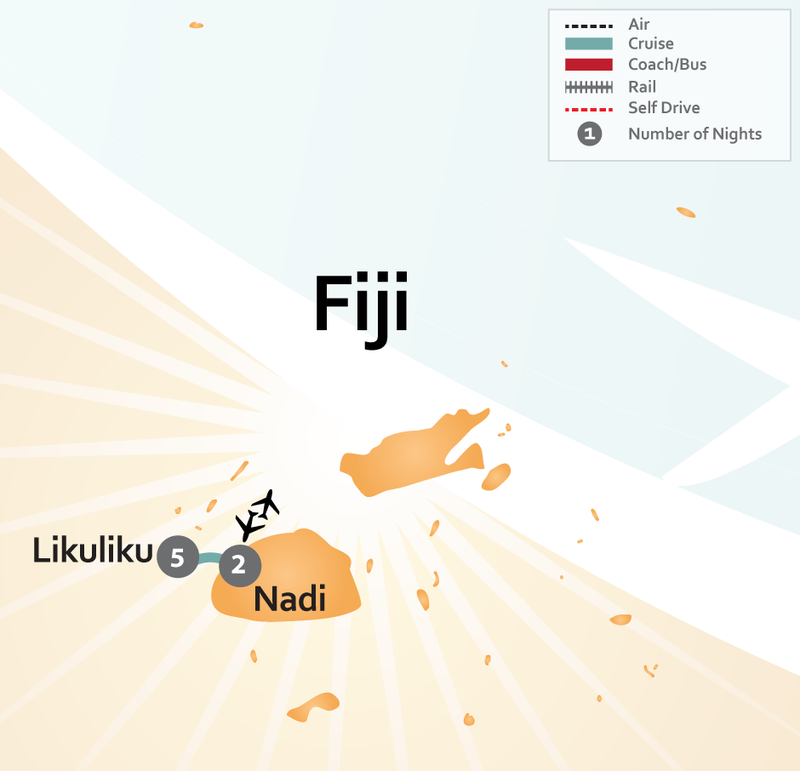 Adventurous and outdoorsy folks can catch some waves surfing off the southern and western coasts of Viti Levu and ride the wind while windsurfing with the locals. 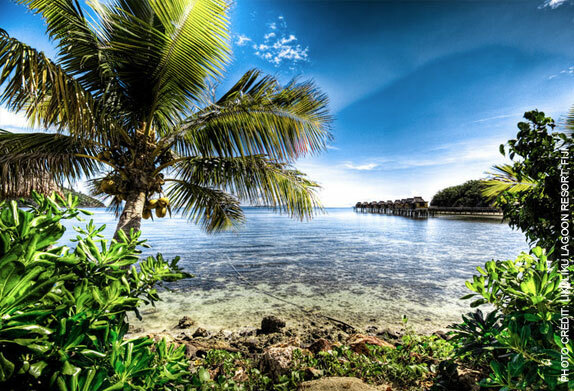 Golfing, hiking, kayaking, snorkeling, or taking a day cruise in Pacific Harbour are just a few ways to spend your vacationing days here. 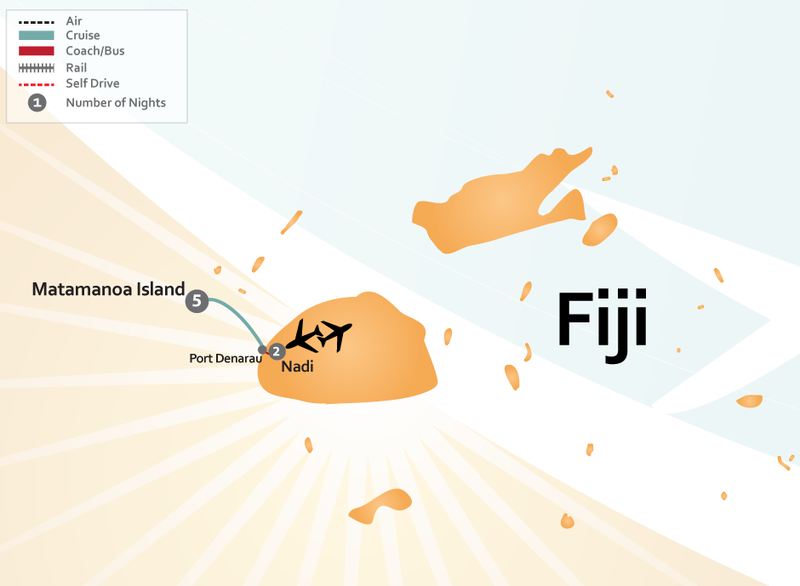 Ever imagined what a Fiji honeymoon would be like? Picture your own private romantic dinner on the beach at sunset: flowers, pillows, exceptional wine & food and your own dedicated host to cater to your needs. 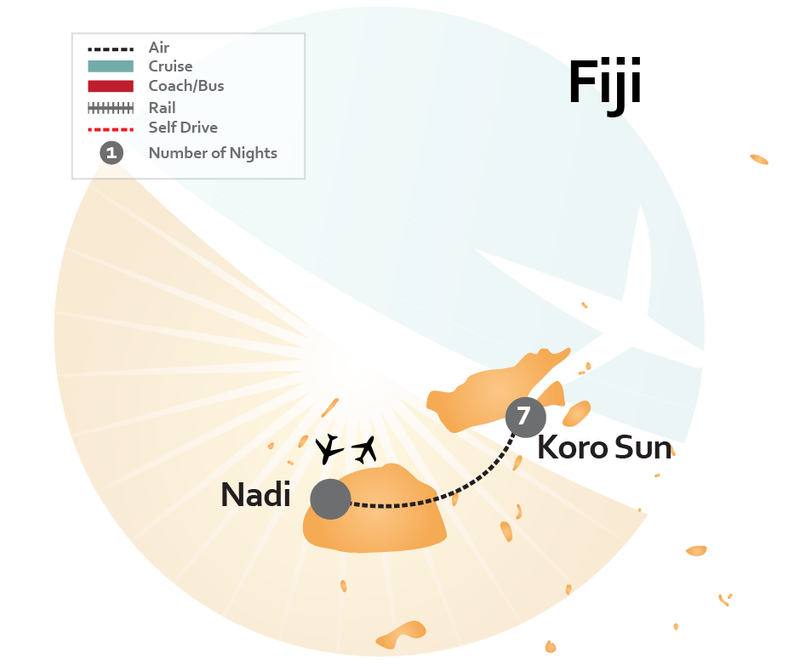 On one of our Fiji tours, you can experience Nadi’s (pronounced “Nandi”) numerous shopping and dining highlights or explore our country’s finest museums, nightlife, restaurants, cinemas, and monuments in the South Pacific’s largest city, and our capital, Suva. 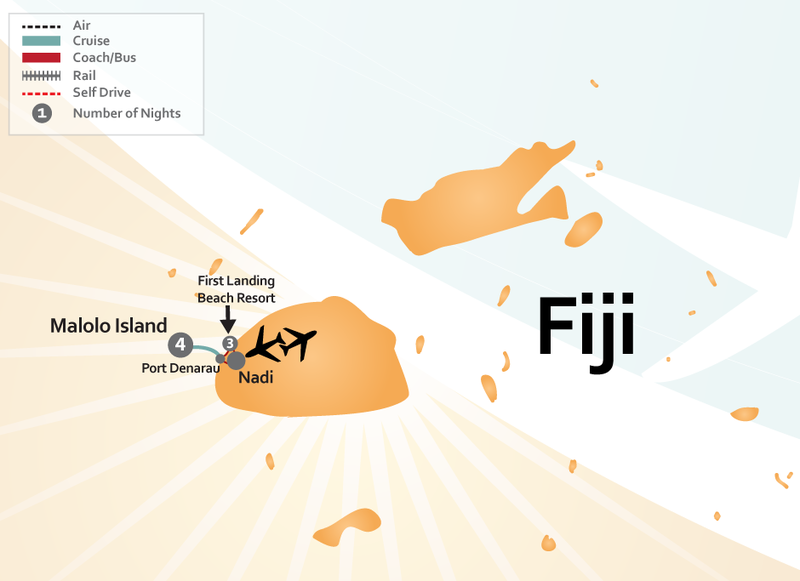 Plan your Fiji vacations with us, and you’ll find a wide range of accommodations from exotic hotels to island resorts. In Savusavu or Denarau you can escape to a stress-free day at the spa, unwind at a lagoon style pool, or just take a stroll along one of our stunning beaches and discover our relaxing island atmosphere. 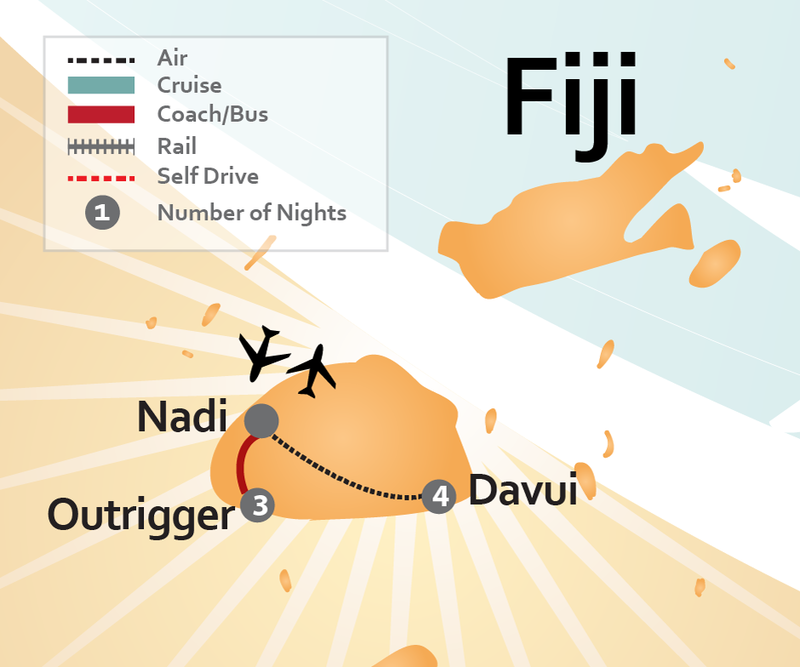 All of our Fiji vacation packages offer variations of adventure and romance, relaxation and cultural experiences. Choose from the list of itineraries below, or fill out our tailor-made form, and our travel agents will create a custom Fiji vacation package just for you. 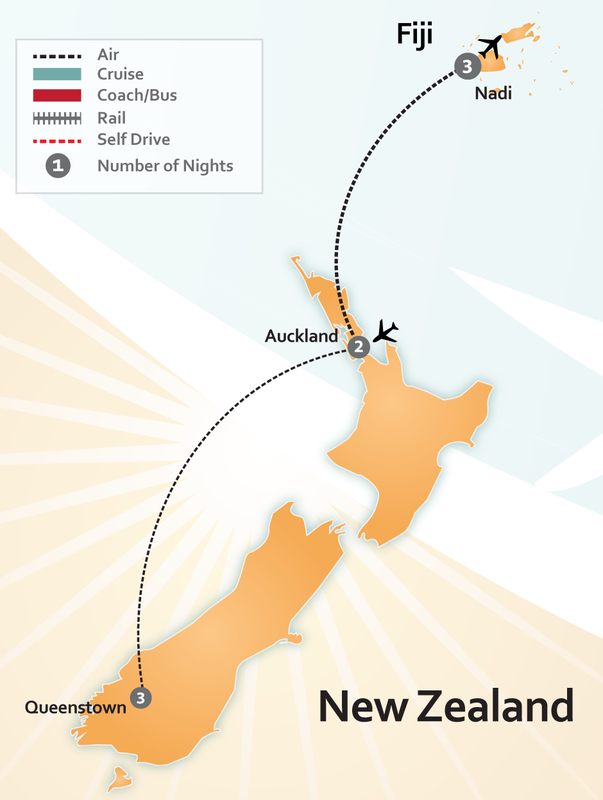 Tip: these Fiji vacations can also be customized or combined with other destinations like Fiji & Australia and New Zealand & Fiji. For more Fiji vacation packages, our sister company About Fiji Travel specializes in creating trips to Fiji of a lifetime.